Inspiration for our wallpaper and surface pattern designs derive from a multitude of daily encounters. From someone’s cool fashion street style, a conversation or travel, our ideas are born. 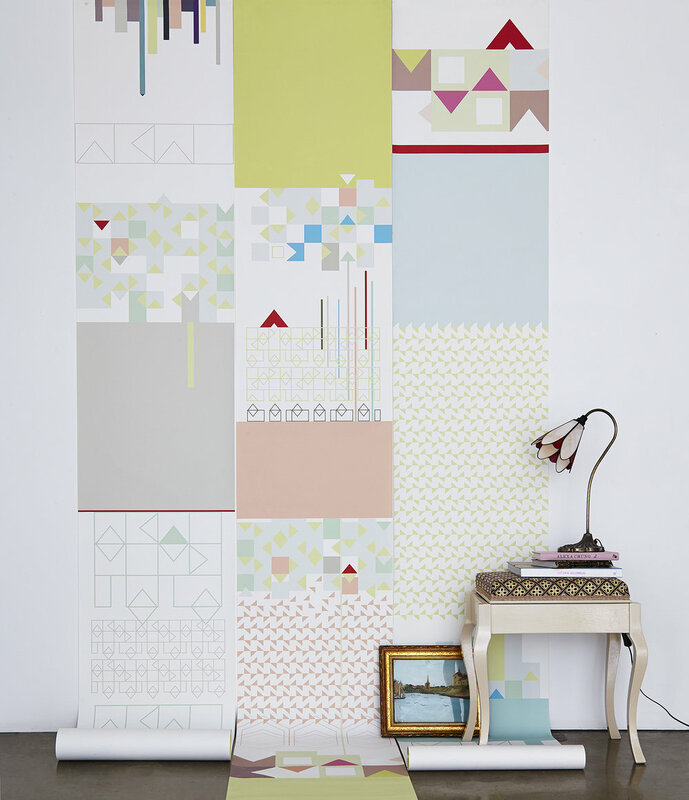 We have a tad obsession with the structured organisation of geometric forms and love pastel pink! Since developing the brand back in 2011 we really wanted to focus on creating designs that represent who we are, where we’ve been and what we’ve experienced. From Cuba to India, we have captured the essence of culture, colour, pattern and spirit of the people, thorough photography. It’s amazing how our design ideas develop through the immersion of a new culture. It’s completely insane that our journey is translated into designs which end up on walls all over the world. Upon returning from our travels we organise our photography and pull out the most inspiring shots to work with. It’s a tricky one getting the balance between being completely outrageous with our designs whilst bearing in mind the commercial viability. 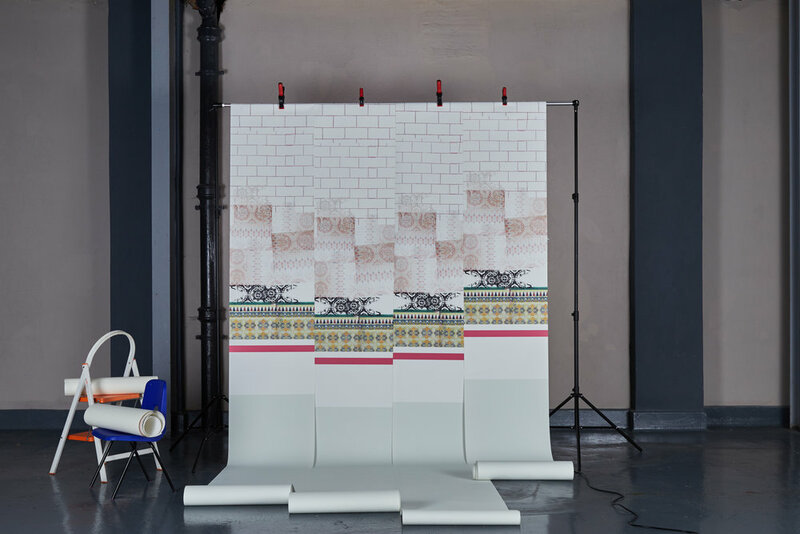 After all we want to create wallpaper designs that our customers are going to love and find easy to use for their residential and commercial projects. We sketch out a variety of design ideas and compositions, this is extremely important if we are developing our famous mix ’n’ match system wallpapers. 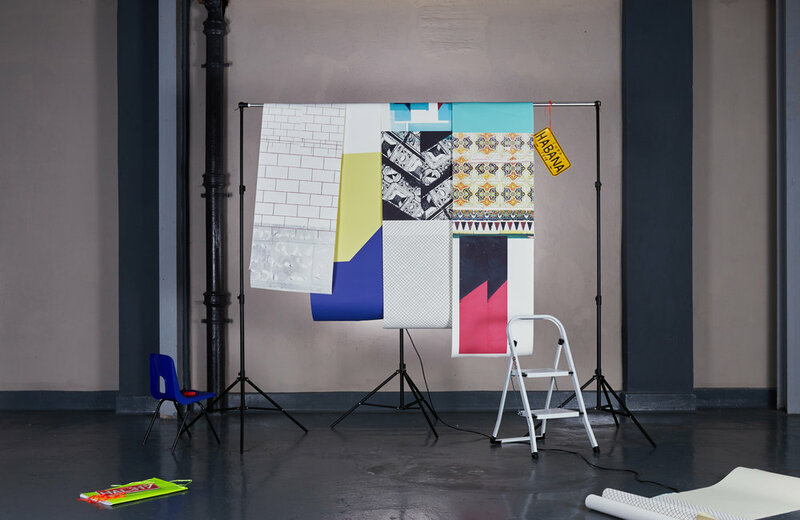 Moving these ideas into Adobe software we develop a colour story to feed through the collection. If we are creating the mix ’n’ match system we tend to work on all art-boards at once to ensure harmony and collaboration across the collection. Once happy with final designs we order printed sample lengths, this is the exciting part, a collection is born! The process to create a collection often takes around 4-6 months. Below are a few our geometric wallpaper designs inspired by some of the beautiful places we have visited such as Miami, Morocco, Cuba, India, and Sri Lanka.